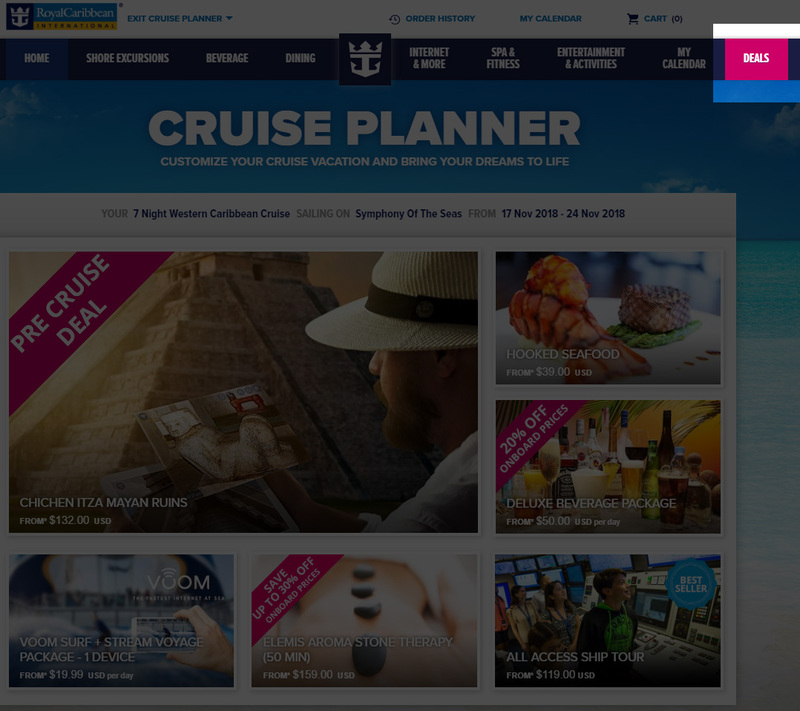 Royal Caribbean is trying to make it simpler to locate discounts offered before a cruise on its Cruise Planner site via a new tab that has been added to the main menu. In addition to the regular set of menu links, a new highlighted "Deals" link has been added that will quickly identify deals on services such as drink packages, excursions and Internet packages. 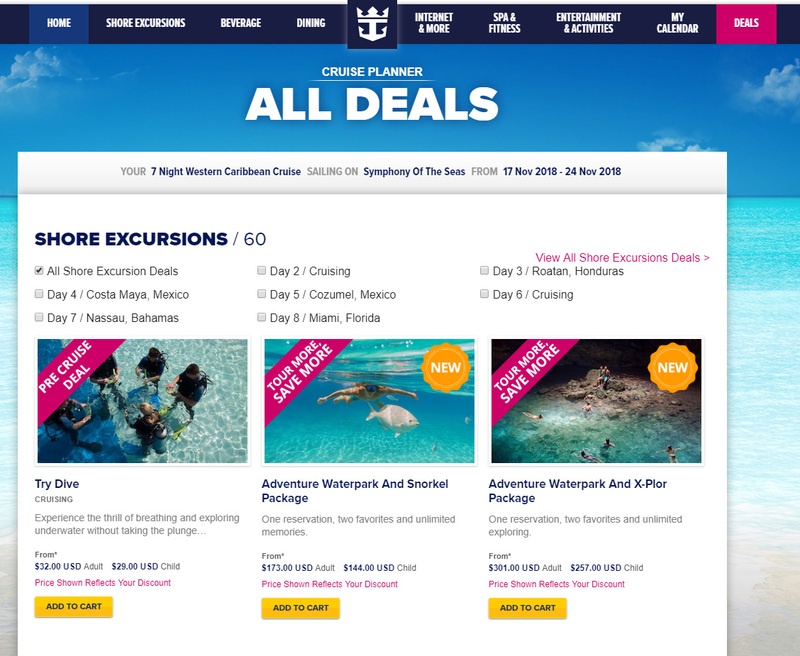 The items listed on the deals tab are the same items found elsewhere in the Cruise Planner, but it offers guests a quicker way to locate what is on sale.